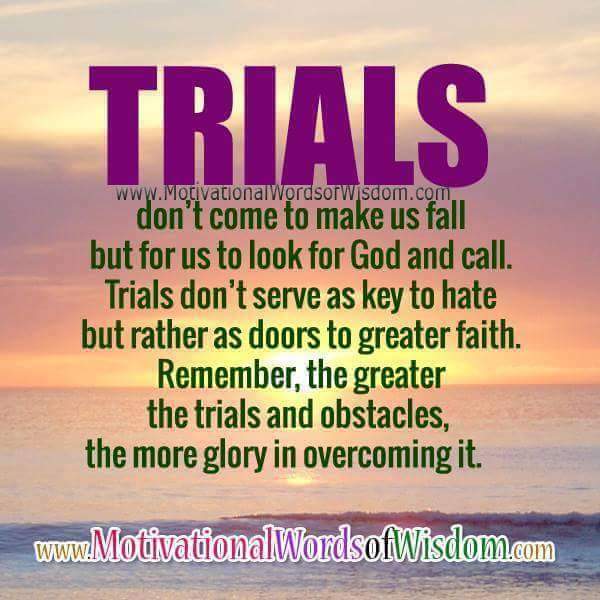 “My brethren, count it all joy when you fall into various trials, knowing that the testing of your faith produces patience. But let patience have its perfect work, that you may be perfect and complete, lacking nothing. If any of you lacks wisdom, let him ask of God, who gives to all liberally and without reproach, and it will be given to him. But let him ask in faith, with no doubting, for he who doubts is like a wave of the sea driven and tossed by the wind. For let not that man suppose that he will receive anything from the Lord; he is a double-minded man, unstable in all his ways. Blessed is the man who endures temptation; for when he has been approved, he will receive the crown of life which the Lord has promised to those who love Him. Let no one say when he is tempted, “I am tempted by God”; for God cannot be tempted by evil, nor does He Himself tempt anyone. But each one is tempted when he is drawn away by his own desires and enticed. Then, when desire has conceived, it gives birth to sin; and sin, when it is full-grown, brings forth death. Do not be deceived, my beloved brethren. Every good gift and every perfect gift is from above, and comes down from the Father of lights, with whom there is no variation or shadow of turning. Of His own will He brought us forth by the word of truth, that we might be a kind of firstfruits of His creatures. So then, my beloved brethren, let every man be swift to hear, slow to speak, slow to wrath; for the wrath of man does not produce the righteousness of God. Therefore lay aside all filthiness and overflow of wickedness, and receive with meekness the implanted word, which is able to save your souls. But be doers of the word, and not hearers only, deceiving yourselves. For if anyone is a hearer of the word and not a doer, he is like a man observing his natural face in a mirror; for he observes himself, goes away, and immediately forgets what kind of man he was. But he who looks into the perfect law of liberty and continues in it, and is not a forgetful hearer but a doer of the work, this one will be blessed in what he does. If anyone among you thinks he is religious, and does not bridle his tongue but deceives his own heart, this one’s religion is useless. Pure and undefiled religion before God and the Father is this: to visit orphans and widows in their trouble, and to keep oneself unspotted from the world”. (James 1:2‭-‬8‭, ‬12‭-‬27). ← HOW LONG HAVE YOU BEEN WAITING ?